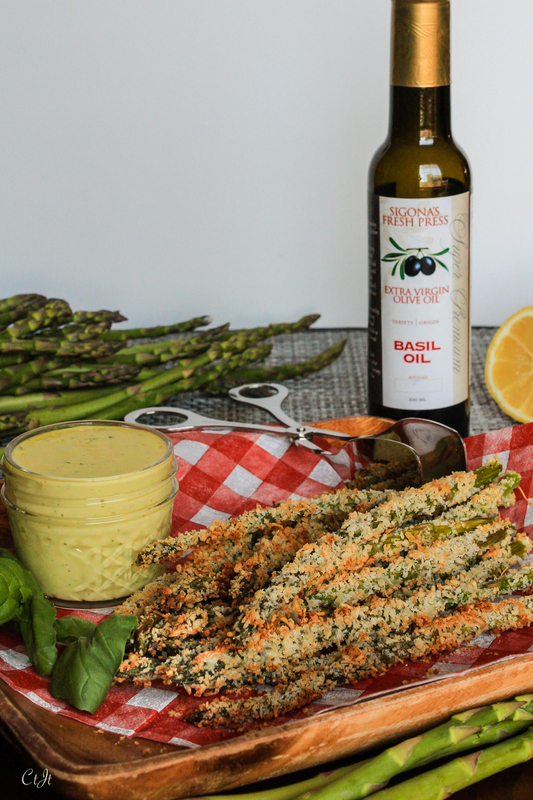 April Olive Oil and Balsamic Must-Haves! You’ll be pleasantly surprised how easy it is to make truffles — dangerously easy! 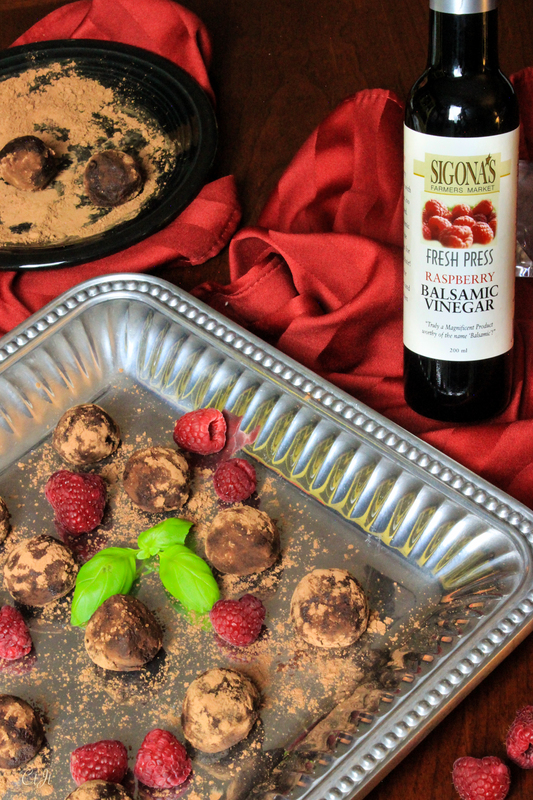 Adding in a little of our red raspberry balsamic gives these dessert delights a subtle, luscious sweetness and a slight tart zing that compliments the decadent dark chocolate. Makes about 15 to 20 truffles. Directions: In a double boiler over steaming, but not simmering water, add the chocolate, cream and salt. Allow the chocolate and cream to sit undisturbed for five minutes. Slowly begin to stir the chocolate over the hot water until completely melted. Add the raspberry balsamic and stir to combine. Pour the melted chocolate in to a shallow baking dish and cover with plastic wrap. Refrigerate for at least 45 minutes or until the chocolate — now called truffle ganache — is solid enough to scoop and roll. When ready to roll, sprinkle some cocoa powder in a shallow dish or plate. Using a small cookie scoop or spoon, scoop out about 2 teaspoons of the truffle ganache. Roll quickly into balls and then roll the balls in the cocoa powder. Store at room temperature in a single layer for up to two days or refrigerate in an air tight container. Fresh, surprising, herbaceous and perfect for spring! This makes for a delightful appetizer or even a side salad. 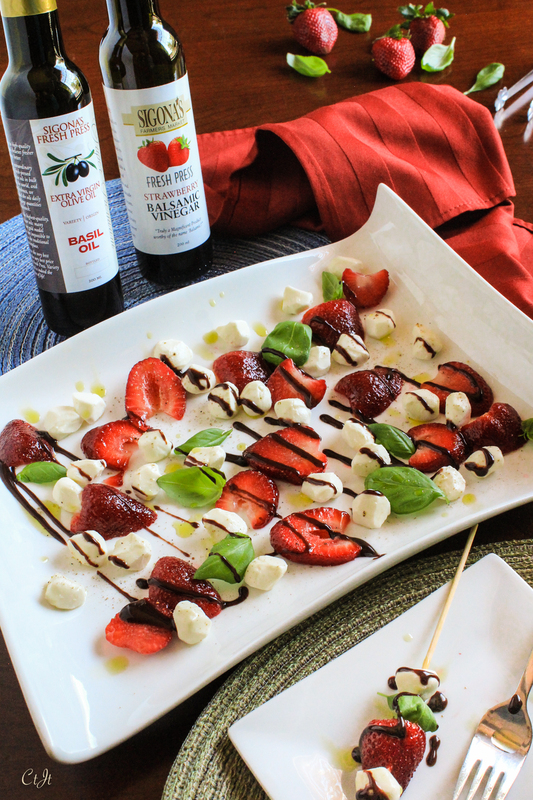 You may be wondering about strawberries and mozzarella, but it’s our Sigona’s Basil Oil that brings the whole dish together, paired with the syrupy sweet strawberry balsamic reduction. Adapted from The Olive Oil & Vinegar Lover’s Cookbook. Serves 2 to 4. Directions: Add the balsamic to a small sauce pan over medium-high heat. Bring to a boil then reduce to medium low and cook for about 10 minutes, stirring occasionally. The reduction is done when it is reduced by nearly half and nicely coats the back of a spoon. Set aside to cool. Toss the strawberries and mozzarella with 1 tablespoon basil oil, season with salt and pepper. Spread out the berries and cheese on a serving tray and then add the basil leaves. Drizzle the entire dish with the remaining basil oil and a tablespoon or so of the reduced strawberry balsamic. Serve as is or provide small skewers. Everyone! Get excited about local asparagus being in season! Our basil oil is a top seller, and pairs incredibly well with vegetables, both fresh or roasted. You’ll absolutely love this aioli, and you can use what’s left over as a sandwich or burger spread, or use it on seafood, such as salmon or shrimp. The asparagus can easily be made gluten-free by carefully selecting your panko. Makes about 2/3 cup aioli. For the aioli: Add the egg, lemon juice, garlic and Dijon to the bowl of a food processor or the pitcher of a blender. Run for about 30 seconds to combine the ingredients. With the blade running, slowly (very, very slowly), drizzle in the olive oil so the mixture emulsifies and becomes thick and creamy. Season with salt and pepper. Add the basil leaves a couple at a time; taste and adjust seasoning or add more basil as needed. Transfer mixture to a small bowl and refrigerate until ready for use. For the asparagus: Preheat the oven to 425°F. and line a baking sheet with parchment paper. Whisk together the egg whites and pour them onto a shallow plate. On a second plate, stir together the panko, parmesan, salt and pepper. Working with one or two spears at a time, roll the spears around in the egg whites then transfer to the panko mixture, coating and patting to ensure the mixture sticks. Transfer the coated spears to the prepared baking sheet. Roast for 12 to 15 minutes or until the panko has a lovely toasted, golden color. Transfer to a platter and serve immediately with the aioli.